None of our waste goes to landfill. We are compliant with the WEE directive and it's easy to recycle with us. Each year in the UK we throw away over 1.2 million tonnes of electrical and electronic waste (WEEE)… over 75% of this waste finishes up in a landfill, where lead and other toxins can cause soil and water contamination. This can have a harmful effect on the natural habitat, wildlife and also human health. 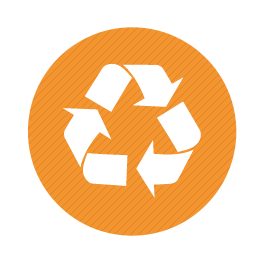 Many of the electrical items that we throw away can be recycled and re-used…. recycling helps to save natural finite resources and also reduces the environmental and health risks. EU and UK regulations require us to collect as much WEEE as possible for treatment, recovery/re-use and environmentally sound disposal. You can play an important part by ensuring that your old equipment is given to a take-back or recycling scheme…not thrown out with the garbage! When you buy any product from The Carphone Warehouse, you can return a similar product to us for recycling. All electrical or electronic equipment made after August 2005 should display the crossed-out wheelie-bin symbol to remind you not to throw it the bin. Carphone Warehouse is registered as a Producer under the The Waste Batteries and Accumulator Regulations 2009. Any used portable batteries* returned to Carphone Warehouse retail stores; we will arrange for them to be collected and recycled in an environmentally sound manner by properly licensed companies. By disposing of your used batteries in this way, you will help to reduce the harmful environmental impact of used batteries and help the UK to achieve its targets for collection and recycling. * Portable batteries are sealed, can be carried by hand, and are the type you’d expect to use electronic equipment, controls, toys household items, etc, for example AA, AAA batteries, MP3 player batteries, laptop or mobile phone batteries, button cells from watches or computer motherboards.